CZ MODEL 75 OR 85 WALNUT WOOD GRIPS ANATOMICAL DESIGN - Vintage Gun Grips - Reproduction Pistol Grips, Buttplates and Grip Caps. 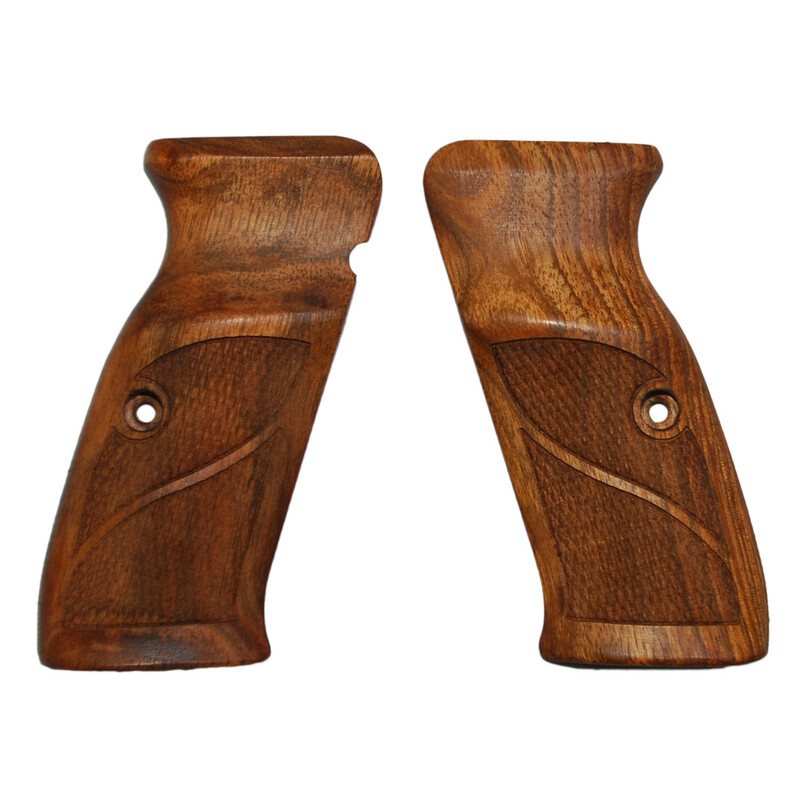 These fine wood grips fit the CZ Model 75 or 85 model. They will also fit the Shadow version featuring anatomically designed ambidextrous thumb rest. Made from English walnut, not stained, with an oil finish. Textured as pictured.